Sometimes, we want to get that romantic feeling even when we are in our own homes. Yes, you don’t have to go far in order to spend some time with the special people in your life. There are times when you just have to stay in your house and just cuddle together, watch a movie or do some other activities that you both enjoy. For some, spending time outdoors is more fun and special. 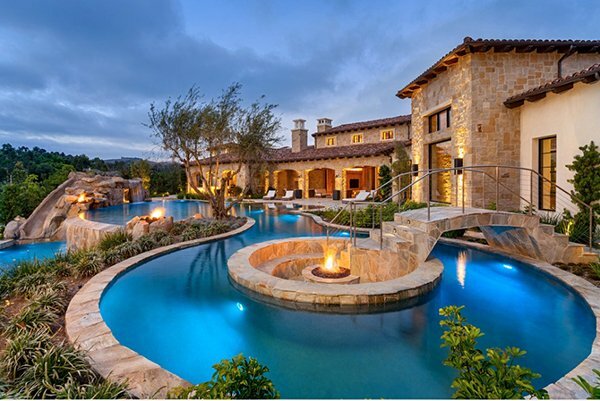 If you have your own swimming pool, this would be a perfect place to spend time with people you love. Well, February is here and it is again time for hearts and for love. But it isn’t just about couples it could also be about everyone who loves. But then again, we cannot do away with the romantic and love fever going on. 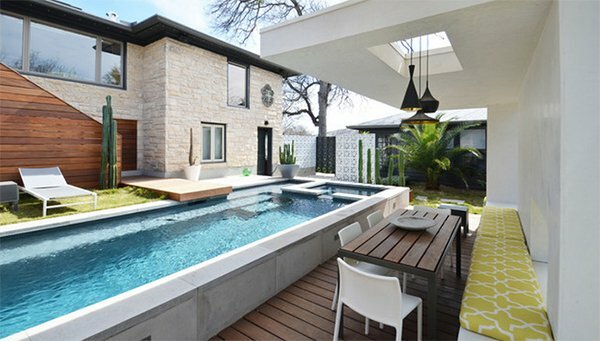 So, today, we have gathered some pool designs that are very romantic. I’m sure, when you see them, you will feel that urge to get into it or even just spend some time in its pool house or in the deck. 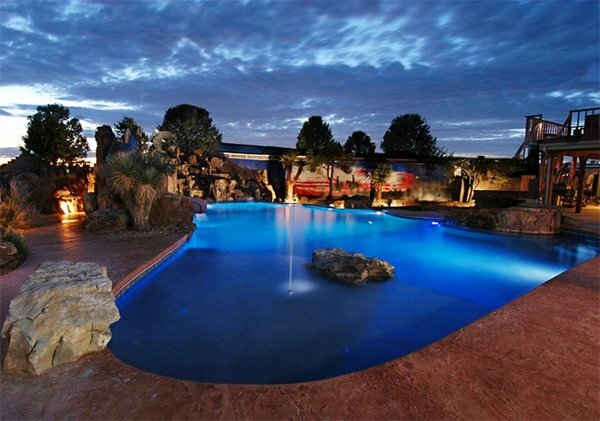 Jump in for a list of romantic pool designs. 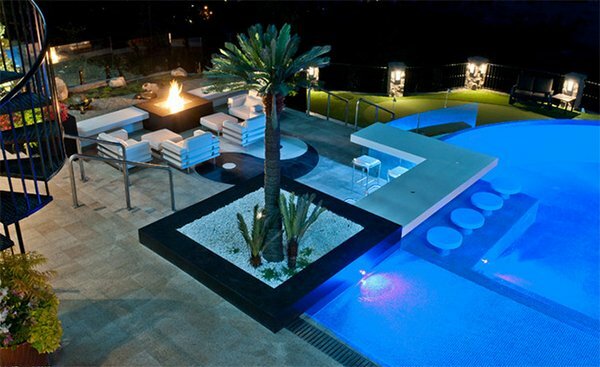 A modern pool area with Palm trees and dramatic lights. Who can resist this? 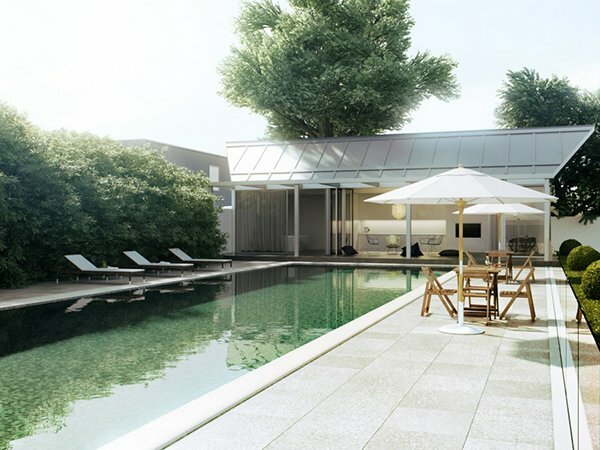 A large pool area which will make you feel like swimming in paradise. That water sure is very inviting! 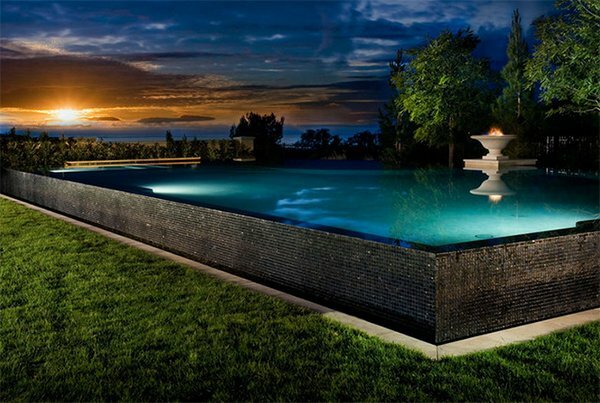 A rectangular pool that sits under the vast heavens. It would be nice sitting in the waters with a view of nature. Looking classic but romantic especially with those white drapes around. A Grecian pool that has greens everywhere. Feel like a princess while you lounge here with your prince. What a serene view of a pool area with living green wall and a relaxing surrounding. A snack with hubby would be awesome here. 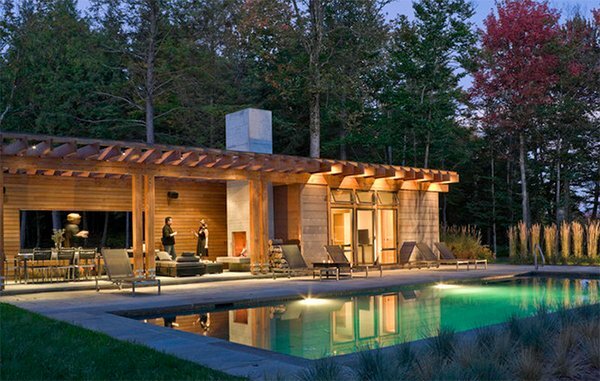 A wooden house with a rectangular pool is being charmed by the tall trees around it and the natural landscaping. 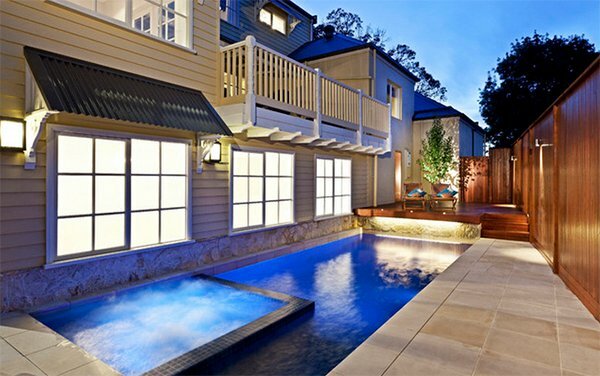 Even when you are inside the house, you can surely relax with a beautiful pool like this one. Well, you can spend longer sweet hours here! 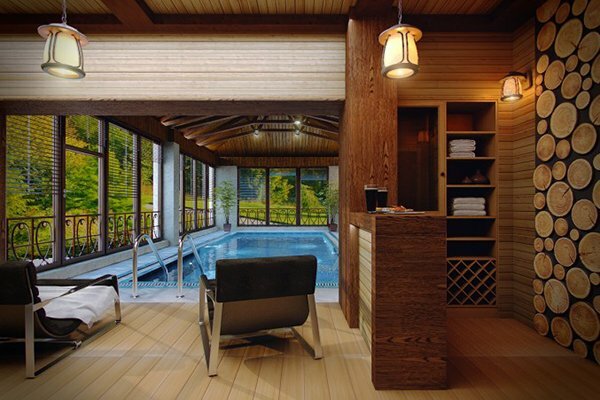 Another indoor pool area with wood all around! Such a calming combination! 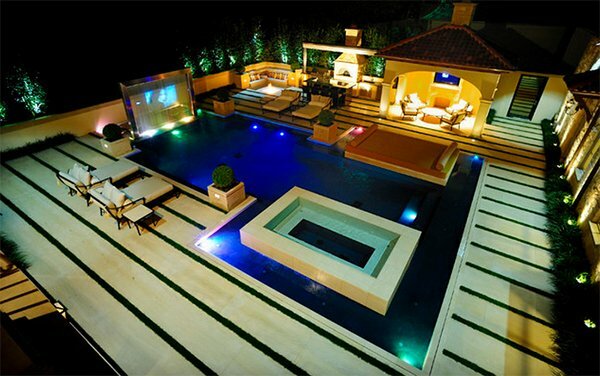 If you are your partner are fond of watching movies, then this pool area is the one for you. Another pool area with a theater but this one is larger because it has a cabana and outdoor kitchen. 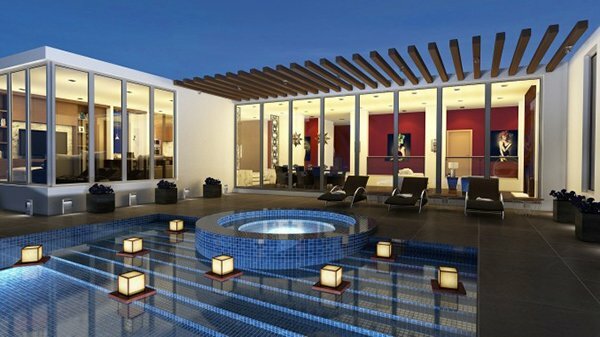 A simple rectangular pool with a raised wooden deck and a spa will make your night very romantic! Beautiful place to lounge and relax in. 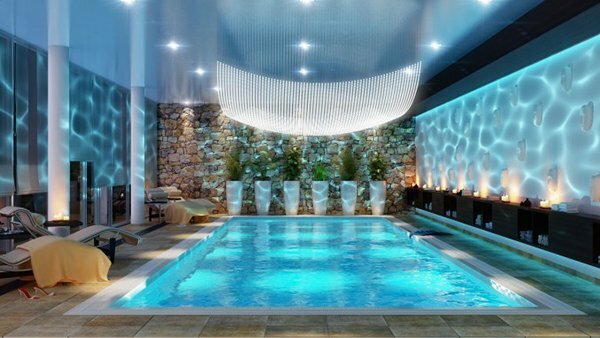 Spell relaxation at its best while you are in here. You could be under a wide sky and the birds will surely be watching you while in this pool area but you’d feel the privacy once your inside the water. Look at this view! It sure is very romantic especially with those lounge chairs in the water and of course, the lighting! A free form natural pool area with lovely landscaping which will make you feel like you are one with nature while spending time here. A small lap pool can also be a romantic venue especially with a dining area on the side and a bonus hot tub. Those floating lights! It looked really amazing and beautiful. Now who wouldn’t say this is romantic? You’d feel like you are in paradise with a pool area like this as it has a natural feel. Another simple pool design with wooden decking. Those outdoor seats and some candles on the sides will sum up to a relaxing date time! So, where you able to pick the perfect pool for you and your special someone? 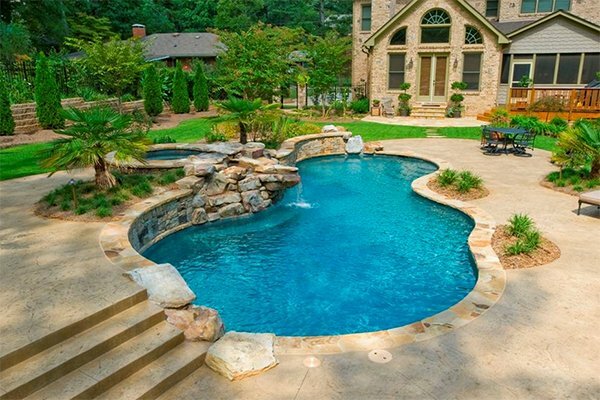 Well, I am just asking you of your favorite designs that could be an inspiration for your own pool. If you have a pool in the house and you think it lacks that romantic aura, you can still make it look very romantic and dramatic. Add some candles into it and some attractive lighting. You can also add a daybed with a canopy for more drama. 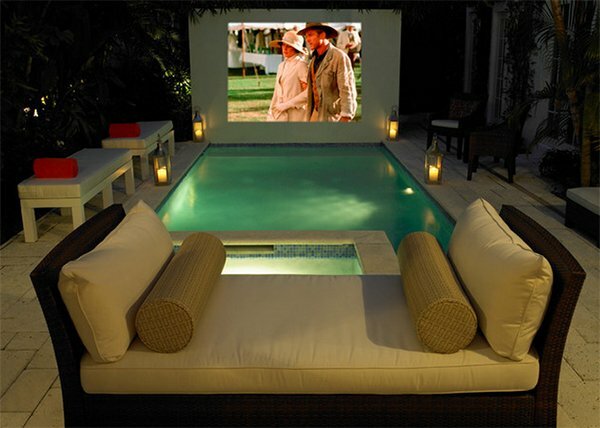 There are many ways to turn your pool area into a romantic place. Stay tuned for some tips on that!